There are many people who do not have properly aligned teeth. Such people suffer from the problem of malocclusion. Malocclusion is the name given to poor bite. People who have such problem may find it difficult to chew food perfectly and smile effectively. They might feel that their teeth are not looking so good and attractive. Orthodontic treatment is done for aligning the teeth in proper manner. Different types of instruments, removal of teeth and surgeries may be done under orthodontics treatment. Different dentists may give you different advice about the right time to get an orthodontic treatment done. Some dentists say it’s best to get it done at a younger age and some recommend it at a later stage. Orthodontic devices which are used for the proper alignment of teeth are both fixed and functional. Those devices which are fitted in to the mouth and use the forces created by various actions like chewing, talking and gulping down the food; for the movement and alignment of the jaw. 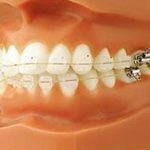 There are a few functional devices which can be removed according to the convenience of the people while some of them remain fitted with teeth. 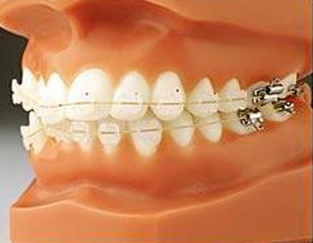 Those orthodontic devices which are fixed to the teeth in the form of wires and brackets are known as fixed devices. These fittings are known as braces. You may have heard about them. After a period of approximately 2 years, the fixed devices get adjusted automatically and they start exerting enough force for bone remodeling. Once the braces are removed from the teeth, retainers are used for holding the teeth. They can be removed. In case the teeth begin to get back to their earlier position after the braces are removed, the orthodontist may choose to wind up a wire at the back of a few teeth. It helps in holding the teeth in their right position. One may opt for the orthodontic treatment in any age. Now days, new technology and devices have come up. Earlier, braces could be spotted easily. Now, braces which are less visible are used by the dentists. It is better to get braces while you are younger, instead of getting them later in life. Aging can contribute to bone loss, which might be a barrier to getting braces. It is also very important for patients to wear their retainers regularly to keep the teeth from moving. I’ve seen people whose teeth have reverted back because of not wearing their retainer. Such a waste of money and time. With the help of new technology, breakthroughs in Orthodontics have become superior. All dental problems like malocclusion now have treatments. We would think that there is nothing impossible that our modern world can do. I’m glad that you shared this very interesting article. Thanks.